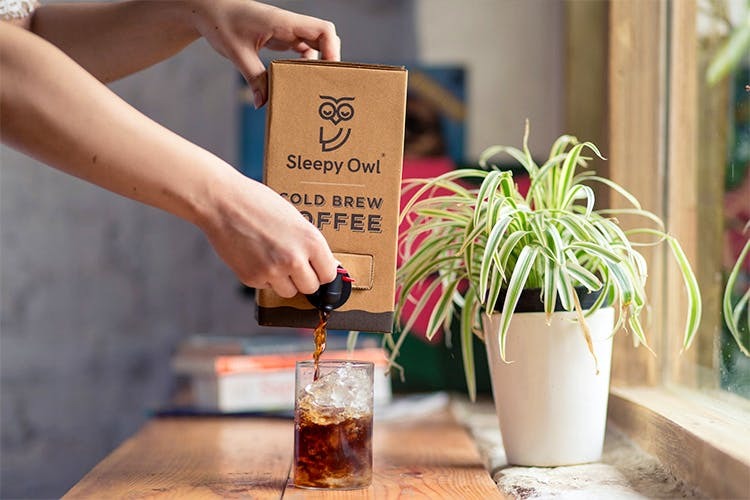 Sleepy Owl’s cold brew coffee can be ordered off their website and they deliver within a day. It’s super convenient & the stock lasted me a whole week. The coffee is very smooth, can be had hot or cold and making it was very easy. The box comes with some recipes, in case you want to experiment. You can even mix it up with some gin and tonic and make yourself a yummy cocktail. I got myself a subscription so I get a box every week. It’s great for coffee addicts. They deliver all across India so you can get your coffee fix no matter where you are. Vietnamese Cold Brew. You’ll have to get condensed milk for this; it tastes divine. The coffee isn’t over when you think it is. Do make sure you cut open the box and get out that last cup.